Astoria food lovers, you’ve been asking for some more variety in restaurant choices, and it looks like we’re headed in the right direction. Mokja, a Korean restaurant, recently opened its doors after months of waiting – to some great reviews. 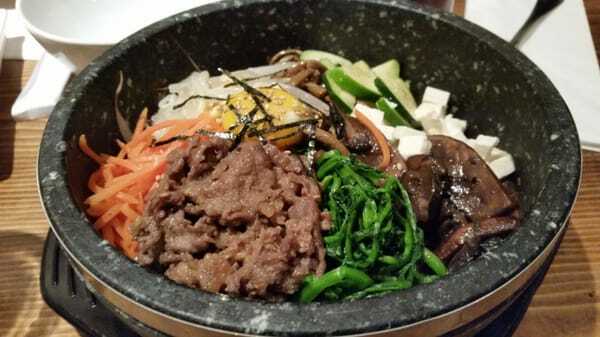 The restaurant serves authentic Korean cuisine – items such as Korean BBQ, Bibimbop and Pajeon. They’ve also got a nice sized assortment of Korean drinks and desserts. The Pineapple Lime Soju sounds amazing – as Soju tends to be pretty strong on its own! If you’ve never had it, think of it as a Korean vodka – but it can be served hot, as well as cold. With your meal, they serve two classic Korean sides: Kimchi and pickled radish – both are slightly tangy, slightly tart pickled dishes. Kimchi is made from pickled cabbage – the sides are something to accentuate your meal, rather than to eat alone. The interior of Mokja is really well put together – they make use of the ample space. It’s generally dimly lit, which gives the restaurant a much more intimate, quiet vibe – but the Korean music keeps it from seeing dull. Overall, Mokja is a great addition to the Astoria restaurant scene – with great food, good service, and an easy to get to location. Plus – they deliver!